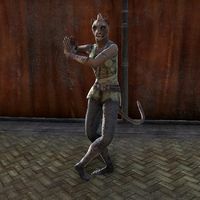 Aireh is a Khajiit found dancing at the camp located south of the Laughing Moons Plantation. She is the sister of Khalama and has no unique dialogue. This page was last modified on 21 February 2019, at 14:40.